Need Repair Service on Your Bosch, Thermador, or Gaggenau Appliances? ​We would be happy to help! Valley View Appliances offers trustworthy service for your Bosch, Thermador, or Gaggenau appliance repair and we strive to make your experience successful from start to finish. 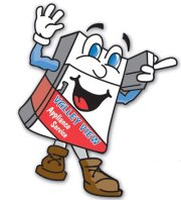 As a leader in the industry, Valley View Appliances will be able to provide you with top-notch in-warranty and out-of-warranty service. Our experienced and factory-trained technicians are able to well-equipped to tackle any issue you may have with your Bosch, Thermador, or Gaggenau appliances. Check your owner's manual to ensure your Bosch, Thermador, or Gaggenau product falls within the manufacturer's specified warranty period. Contact the manufacturer of your Bosch, Thermador, or Gaggenau appliance (this number will be provided in your owners manual).